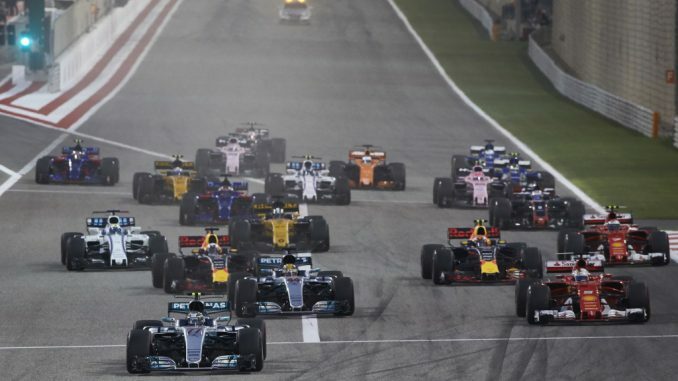 The second race of the 2018 Formula 1 season takes place this weekend as the series heads to Sakhir for the Bahrain Grand Prix. The Bahrain International Circuit has hosted a round of F1 since 2004, with a break in 2011, and has been dominated by Ferrari and Mercedes. Two-time Bahrain winner Lewis Hamilton will be looking to match Sebastian Vettel and Fernando Alonso, who each have three victories at the track. 3 Legs 4 Wheels takes a look ahead to this weekend’s action. 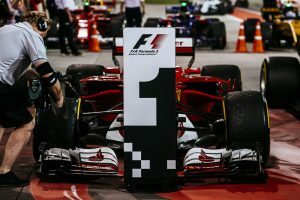 For the second time in three races, it was pole position for Mercedes but a race win for Vettel, as the German driver took his third Bahrain victory and his first for Ferrari after starting third on the grid behind Valtteri Bottas and Hamilton. Bottas was on pole for the first time and kept the lead early in the race, but was unable to pull away from his rivals, allowing Vettel to undercut the Finn in the pitstops. Hamilton looked like he could have the pace to better the Ferrari, but was handed a penalty for driving slowly into the pitlane, holding up Red Bull’s Daniel Ricciardo. 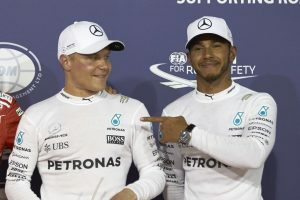 Bottas was ordered to let Hamilton past to try to close the gap to Vettel in the final laps of the race, but it was too late for the Briton, who finished over six seconds adrift of the four-time champion. Although it was the third race of the season, Sauber’s Pascal Wehrlein made his 2017 debut in Bahrain. The former DTM champion had to sit out the opening couple of races as a result of injuries sustained at the Race of Champions. Despite still not being fully fit, the German did enough to finish 11th – his third highest finish of the season. Just 13 cars made it to the the chequered flag. 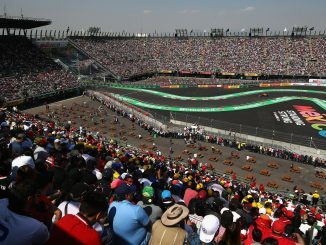 Stoffel Vandoorne had to sit out the race entirely after McLaren were unable to get his car going, while rookie Lance Stroll marked his third race by picking up a three-place grid penalty at the next race for taking out Carlos Sainz. Max Verstappen was in position to challenge for a podium when the brakes on his Red Bull failed, while Kevin Magnussen, Marcus Ericsson and Fernando Alonso all suffered retirements, although the Spaniard was still classified 14th after completing 54 of the 57 laps. 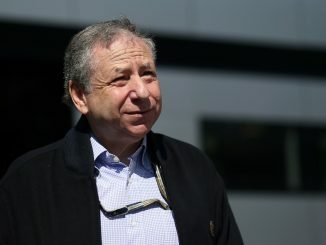 Bahrain has struggled to find a regular position in the F1 calendar, often moving between the first and fourth race of the season. Last year it was race number three, coming a week after the Chinese Grand Prix. However, Bahrain and China have switched around for 2018, meaning the race is a week earlier this year. One of the track’s DRS zones will be longer in a bid to increase overtaking. The run down to turn one on the pit straight is the second of two DRS zones at the circuit, and has been extended by 100 metres. The drivers will be using the same three tyre compounds that were available for 2017 – mediums, softs and supersofts. However, no driver used the hardest of the three compounds last year, sticking to the supersoft and soft during the race. It looks like the teams are expecting the softer tyres to be the better option again this year, with only Marcus Ericsson electing to have more than two sets of mediums available. Most drivers used two sets of supersofts and did one stint on the softs last year, although Hamilton and Felipe Massa needed two spells on the softs. For 2018, McLaren have more supersofts available than any other team, while most drivers will have seven or eight sets of the softest compound. With an early safety car, most drivers favoured a two-stop strategy in 2017 – Wehrlein was the only finisher to make a one-stop strategy work. 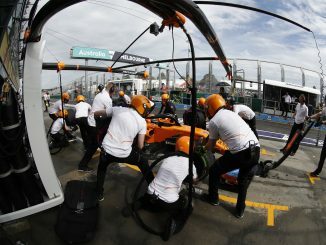 Despite Pirelli suggesting more pitstops would be seen this year, last month’s Australian Grand Prix saw similar tyre strategies to 2017’s Melbourne race. Sakhir is largely desert, so hot, dry conditions are the norm for the Bahrain Grand Prix, and this weekend doesn’t look to be any different. Temperatures of around 30°C are expected on Friday, with conditions getting hotter as the weekend progresses. Although qualifying and the race itself take place at twilight, it will still be hot at the circuit when the race finishes. It’s forecast to be around 33°C when the race gets underway on Sunday, cooling only be a couple of degrees by the time the drivers finish. Hotter temperatures are thought to favour the Ferrari-powered cars. Wind could also be a factor. Gusts reaching up to 60kmph could affect the circuit on Saturday, with winds staying between 20 and 40kmph for most of the weekend. Don’t expect the pole-sitter to win – only one of the last five race winners in Bahrain has done so after being quickest in qualifying. Qualifying well is still vital though, as no winner has ever started lower than fourth at this track. It wouldn’t be a Bahrain podium without Hamilton or Kimi Raikkonen – 2004 and 2009 are the only previous Bahrain Grands Prix not to feature either in the top three. 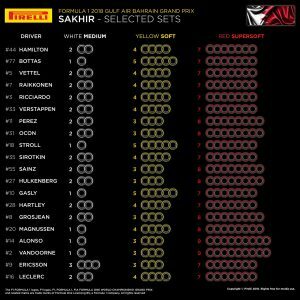 Raikkonen has more podiums than Hamilton in Sakhir, standing on the rostrum eight times, but the Finn has never won the race. Bahrain has been something of a bogey track for Red Bull in the past. Vettel remains the only driver ever to stand on the podium for the team, doing so three times. The team does have six double points finishes at the circuit, but last year missed out due to Verstappen’s brake failure. To put Red Bull’s lack of podium success into context, Romain Grosjean has two Bahrain podiums – just one fewer than Red Bull. The Bahrain International Circuit is known to be tough on engines, which could play into the hands of the Mercedes-powered teams. Honda have already had to make changes to their power units after suffering problems in Australia and had a poor run at the track with McLaren in the last couple of years, so it looks like it could be a difficult weekend for Toro Rosso. The extended DRS zone increases the chances of a new race lap record. The current benchmark (1:31.447) was set by Pedro de la Rosa for McLaren in 2005. Hamilton set the fastest lap last year, but was 1.3 seconds down on De la Rosa’s record. 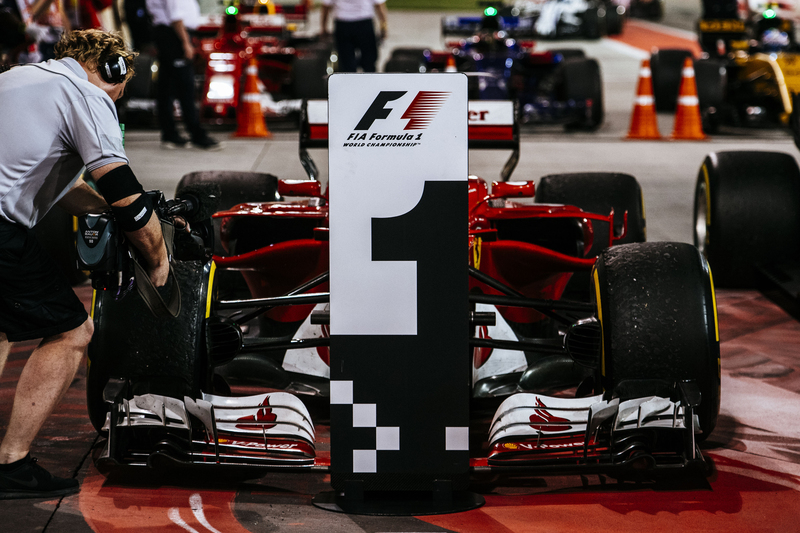 There’s still time to listen to this week’s Bahrain Grand Prix preview podcast and catch up on the team’s podium predictions for Sunday. Don’t forget to join us for qualifying and the race for our live blogs and get in touch on Twitter or Facebook to tell us what you think about this weekend’s action.